Our certified translations carry an affidavit signed by the translator, testifying on the accuracy of the translation. If you document consist from a single page we can have it translated and certified within 24 hours with no additional charge. We follow the USCIS standards and when you need to submit your personal documents to the U.S. Citizenship & Immigration Services (USCIS), we can guarantee that our translations will be accepted. 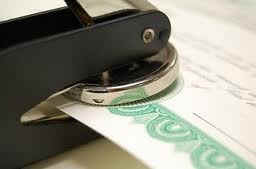 We can translate and certify any document, such as a birth certificate, diploma, transcript, marriage certificate, licenses. No problem! We can use a nice picture of your document taken with your smart phone! How to order a translation - In 3 easy steps!